Are you planning a last-minute trip to the beach this summer? 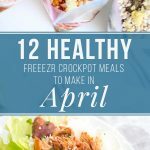 If so, I’ve got you covered with three crockpot freezer meals that you can take with you. Free grocery list included! 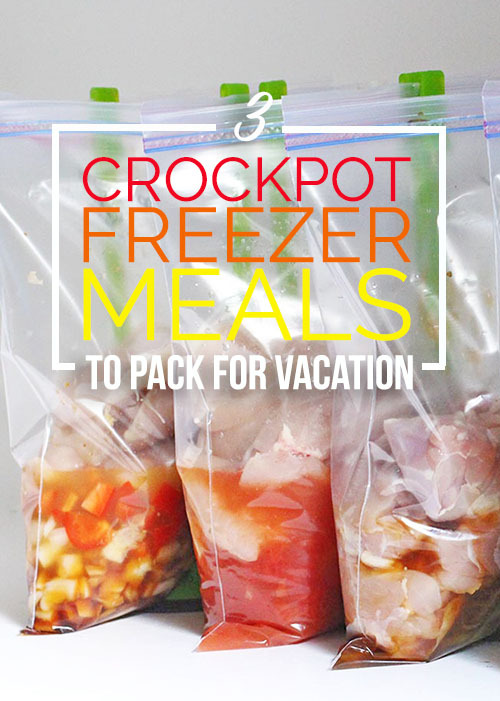 Why make these crockpot freezer meals for vacation? You’ll save money eating out. You won’t have to spend your vacation cooking. You’ll eat healthier and feel better too. Yay! 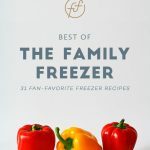 My husband and I came up with a list of our three favorite crockpot recipes to eat in the summer and I’m super excited about them. They’re fresh and delicious and taste the same cooked fresh or frozen and cooked later. Combine all ingredients in a bag and freeze. Cook on low for 8 hours in a 4-quart crockpot or 4 hours in a 6-quart crockpot. 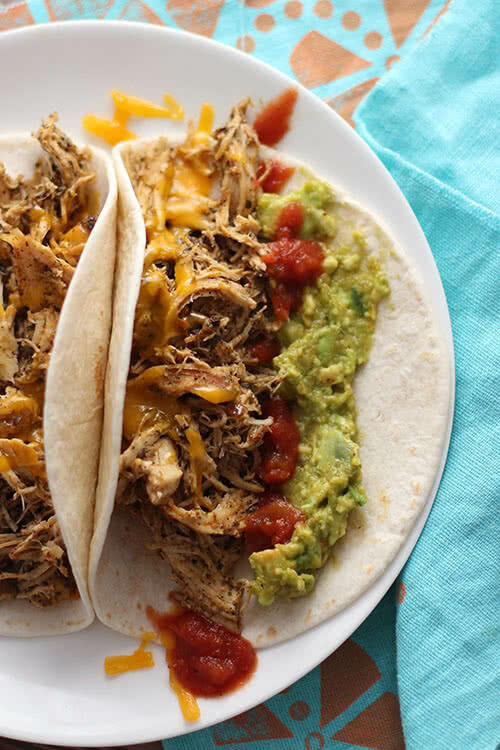 Shred chicken and serve on tortillas with cheese, salsa, and guacamole. Combine all ingredients in a bag and freeze. Cook on low for 8 hours in a 4-quart crockpot or 4 hours in a 6-quart crockpot. 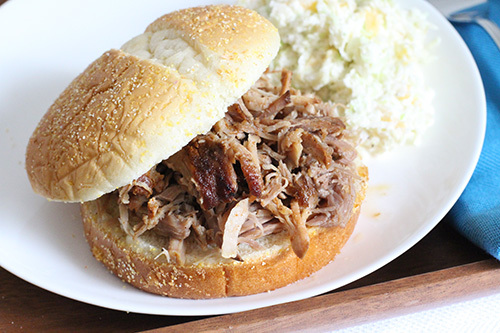 Shred meat and serve on hamburger buns with a side of coleslaw or salad. Combine all ingredients in a bag and freeze. Cook on low for 8 hours in a 4-quart crockpot or 4 hours in a 6-quart crockpot. 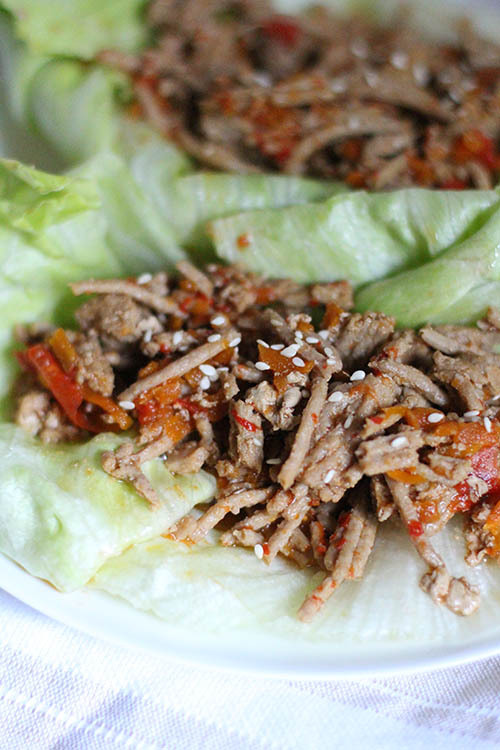 Break apart meat and serve on iceberg or Bibb lettuce with a side of rice. 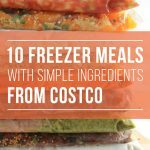 The meals will last in the freezer for at least three months, so make them now and then pack them in a cooler with some ice packs. Don’t forget to pack your crockpot too! P.S. 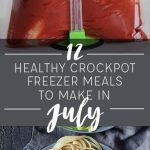 I shared these recipe ideas on Thirty Handmade Days on 7/3. You usually specify to thaw overnight between freezing and cooking. Am I being dense and missing that we should assume we thaw all freezer meals, or do we actually not have to thaw these?